Manufacturer Part Number: 1090C001. A 10x Optical Zoom can help capture images of the whole party, or close in on a friend's laugh. Product Line: PowerShot. Manufacturer: Canon, Inc. Product Model: 190 IS. Manufacturer Part Number 1090C001. A 10x Optical Zoom can help capture images of the whole party, or close in on a friend's laugh. Marketing Information Share with Style. Product Line PowerShot. Manufacturer Canon, Inc. 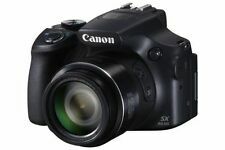 The stylish PowerShot A2400 IS convinces with style and Canon image quality, no matter where you are. Marke Canon. 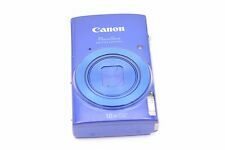 Canon powershot sd1300 IS Digital Elph. 1090C001 Canon. MPN: 1090C001. Display Screen Type: LCD. External Flash: No. Color: Blue. Our warehouse will select the most appropriate carrier when your order is processed. Viewfinder Type: No. Aspect Ratio: 16:9. Mode économique. Modes amusants et créatifs. Écran LCD de 6,8 cm (. ). 6.8 cm (2.7"). The optimal ISO level is then automatically set, to minimise blur and maximise image quality. Face Detection technology detects up to 35 faces in a scene and adjusts focus, exposure, flash settings and white balance - for optimal results with natural-looking skin tones. Canon PowerShot ELPH 190 est appareil photo numérique (en bleu). OBJECTIF CANON. Canon appareil photo numérique LCD. Caméra Nikon Digital LCD. Series Canon PowerShot. Digital Zoom 4x. Model 190 IS. Appareil photo cassé. 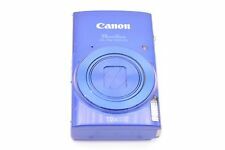 Canon PowerShot ELPH 190 est appareil photo numérique (en bleu). Series PowerShot ELPH. Model Canon ELPH 190. OBJECTIF CANON. Canon appareil photo numérique LCD. Manufacturer Canon. Color Blue. Kit Style Base. Canon PowerShot ELPH 190 IS appareil photo numérique. Series PowerShot ELPH. Model Canon ELPH 190. OBJECTIF CANON. Canon appareil photo numérique LCD. Optical Zoom 10x. Digital Zoom 4x. Manufacturer Canon.